The latest study follows a warning in 2005 by the FDA and several research institutes that taking selective serotonin reuptake inhibitor antidepressant drugs like Prozac could be related to serious birth defects in infants. In January of this year, the British Medical Journal published a study linking selective serotonin reuptake inhibitor (SSRI) antidepressant drugs such as Prozac, Paxil and Zoloft to Persistent Pulmonary Hypertension of Newborns (PPHN) in infants of mothers who took the drugs during pregnancy. The New England Journal of Medicine, Boston University, University of California at San Diego, National Birth Defects Prevention Study of Infants, University of Ulm and Aarhus University in Denmark have also warned that antidepressant drugs like Prozac can cause serious birth defects when taken during pregnancy. These defects may include heart defects, lung conditions, brain defects, skull deformities, club foot, spinal defects and abdominal defects. 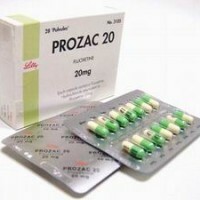 Prozac has been marketed by Eli Lilly since 1987 and is one of the most popular antidepressants of all time. According to an SDI Vector One® report, some form of the drug was still prescribed more than 24 million times as late as 2010. Therefore, it is possible that millions of children may have been affected. The Prozac Birth Defect Resource Center at PaxilCenter.com has helped thousands of people whose children suffered a birth defect after they took an antidepressant drug. They are available to answer your questions today. The makers of similar drugs like Paxil have taken steps to resolve litigation over these birth defects. According to Bloomberg on July 20, 2010, GlaxoSmithKline has spent nearly $1 billion so far to resolve litigation over claims of birth defects, with approximately 800 cases of serious birth defects settled at an average of $1.2 million. Those who have not filed a claim still have the opportunity to speak with a prozac birth defects lawyer about their legal rights. The Prozac Birth Defect Resource Center at PaxilCenter.com works top lawyers who are helping those who have discovered their child has a birth defect after they took Prozac. It is important for anyone whose child has been affected to learn their legal rights as soon as possible. PaxilCenter.com contains more information on Prozac, the symptoms and birth defects linked to the drug, prozac lawsuit news, Frequently Asked Questions, treatment options and how those affected can find a qualified lawyer to help them recover.